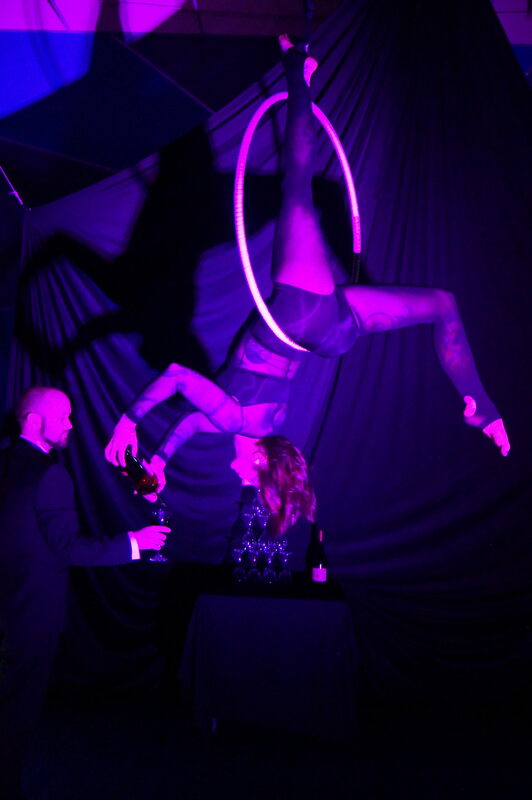 Aerial Bartending is a dynamic fusion of aerial artistry and bartending services that is guaranteed to impress guests and add excitement to your next event! Our aerialists can serve on various aerial apparatus, including aerial hoop, hammock or cube. This service includes 1-2 performers and can accommodate various ceiling heights with our free-standing lyra and free-standing quad rig. For more information and our price packages, please fill out the form here. Now booking for Summer 2017!